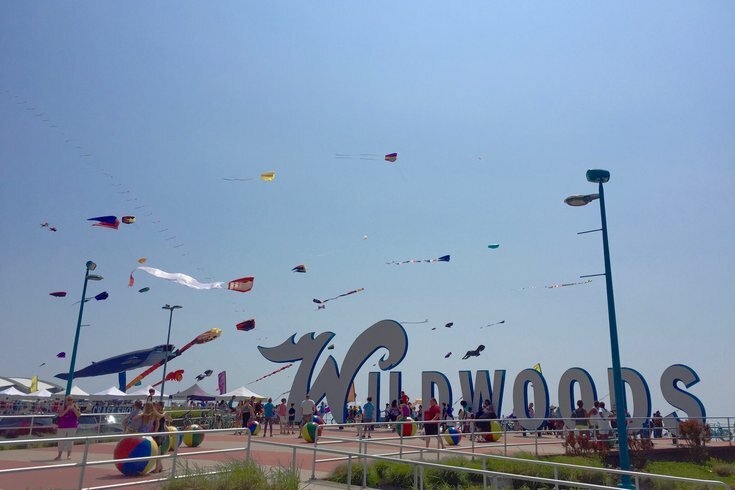 Kites fly behind the Wildwoods sign at the Jersey Shore. Add two more towns the list of Jersey Shore destinations considering a smoking ban at beaches and boardwalks. A pair of ordinances in Wildwood and North Wildwood would institute a sweeping ban that could be implemented as soon as the start of 2018, according to NJ.com. An earlier report by the Press of Atlantic City said the ordinances would apply to the 38-block Boardwalk, as well its adjoining ramps and stairs. Wildwood Mayor Patrick Rosenello said the proposal is motivated by public health and public safety, noting that small trashcan fires are an annual occurrence and discarded butts represent a hazard. For the upcoming summer, officials in both cities plan to "educate" beachgoers and discourage smokers from lighting up in areas targeted by the ban. If the North Wildwood ordinance passes, those caught with a lit cigarette would face a fine of $250. In Wildwood, the fine would be up to $1,000 or 90 days in jail. Both measures are up for a vote in the coming days and weeks. Smoking on Jersey Shore beaches is already prohibited in Longport, Beach Haven, Belmar, Cape May Point, Harvey Cedars, Long Beach Township, Long Branch, Seaside Park, Ship Bottom, Spring Lake, Surf City and Ocean City.